Three separate pressure points in the country are threatening to convene into a major source of destabilization sometime in the near future. Bosnia is back in the spotlight as the source of Balkan instability, with three serious issues cropping up in the country in just the past two weeks. Anti-Serb sentiment reared its ugly head when a vicious mob attempted to stone the Serbian Prime Minister to death during his commemorative appearance at a Srebrenica memorial. Then, in reaction to the proposed creation of a Court and Prosecutor’s office that would have illegal jurisdiction over the entire country (violating the Dayton Agreement that ended the civil war), the autonomous Republika Srpska announced that it will hold a referendum on the issue, which drew extremely hysterical rebukes from the rest of Bosnia and the West. Finally, just this Sunday, a UK newspaper revealed what many had long suspected, and it’s that ISIL may have finally set up base inside the strategically located country. Although appearing to be three separate issues, all of these flashpoints have the distinct and real possibility of merging together (as Balkan crises quite often do), and interestingly enough, certain outside forces might nudge events along this scenario in order to promote their geopolitical goals over the region. The Serbian Prime Minister was almost pelted to death with stones while paying his respects at Srebrenica, the site of a tragic event that Serbs regard as a crime and not “genocide”. In fact, just immediately prior to the assassination attempt, Russia vetoed a UK-sponsored UNSC resolution to recognize the event as such. 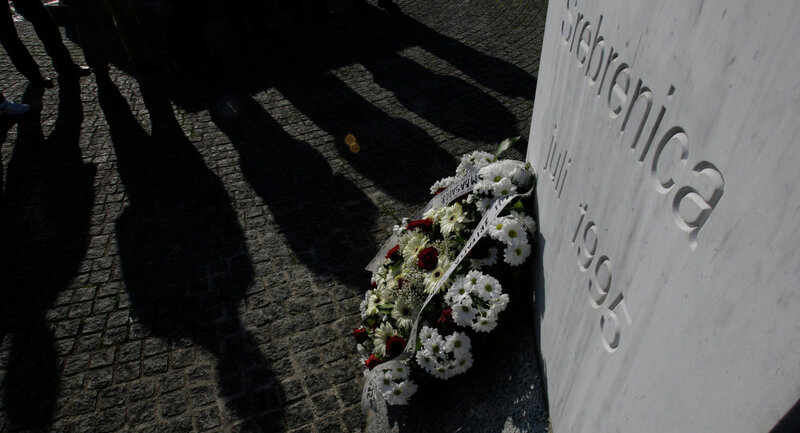 It stated that the document’s clear political motivation in labelling the events “genocide” unevenly attributed blame to the Serbs, would have incited more ethnic hatred, and could have aggravated regional tensions. Sadly, Russia’s valiant effort didn’t preemptively quell the forthcoming violence, since according to Republika Srpska President Milorad Dodik, former Balkan warlord and wanted war criminal in Serbia, Nasir Oric, disguised himself in the crowd that day and incited the masses to riot, which led to them trying to kill Vucic. The fragile two-decade-long peace in Bosnia is held together by the extraordinarily complex and generally unworkable Dayton Agreement agreed to by all sides in 1995. It places a foreigner in control of the country’s most important position, the Office of the High Representative (OHR), while creating a mangled ‘power-sharing’ apparatus for the citizens themselves. The specific composition of the two chambers of parliament and the tripartite, rotating presidency invites a lot of discussion but discourages any real decisions from being made. While the country’s two constituent entities (Federation of Bosnia and Herzegovina and Republika Srpska) are nominally autonomous, there’s been an overall trend towards Sarajevo and the OHR overstepping their authority over the Serbs, ergo the current crisis. Republika Srpska asserts that the Dayton Agreement doesn’t give the OHR the right to create a nationwide court system, let alone one that it feels will be institutionally biased against Serbs. In response, its National Assembly has agreed to hold a referendum, but this has led to frenzied rhetorical attacks that President Dodik is trying to break apart Bosnia. In reality, the country’s other forces and the OHR have been trying to push the republic into this position for quite a long time in order to justify possible punitive measures against it. They’ve never gotten comfortable with the idea of Serbian autonomy, and they especially fear Dodik’s recent outreaches to Russia (he attended the Saint Petersburg International Economic Forum last month). It’s for these reasons that Nuland strongly alluded to Republika Srprksa in declaring that “it is unconscionable that the unity of the state is still publicly questioned” and implicitly blamed it for Bosnia’s failure to formally join Euro-Atlantic structures. Bosnia has been a hotbed of Islamic militancy and a destination for foreign terrorists since the beginning of its civil war in the 1990s, but with the rise of ISIL, it looks to have once more reverted back to its notorious role as the jihadi gateway to Europe. Even before ISIL’s propaganda video extolling the ‘virtues’ of Balkan jihad, a terrorist targeted the town of Zvornik in Republika Srpska in late April, screaming “Allahu akbar” before shooting three police officers and getting killed as a result. With Bosnian intelligence revealing that 150 of its citizens have already joined ISIL (and 50 of them having returned back to the country), it shouldn’t be surprising that the terrorist group’s flags were reportedly flown in a small village like Gornja Maoca (controlled by radical Wahhabists) or that the British just reported on the existence of a base in Osve, both of which coincidentally abut the Republika Srpska border. Complicating the threat even further, some fear that the tens of thousands of illegal immigrants (some of whom are legitimate refugees) that have flooded the region since the beginning of the year might have created a ‘humanitarian cover’ for terrorists to exploit in infiltrating the region, making many nervously wonder whether Gornja Maoca and Osve are just the tip of the iceberg. These three destabilizing factors – anti-Serbian sentiment, Sarajevo’s constitutional oversteps, and ISIL’s covert growth – dangerously risk combining into an explosive mix sometime in the coming months. While it’s impossible to predict the future, one can in fact make an educated forecast about where certain indicators are headed, and in this case, it’s fairly troubling. Republika Srpska’s expression of constitutional autonomy is ruffling feathers all throughout the federation, and if a compromise isn’t reached, the planned referendum will surely be held. All the while, anti-Serbian rhetoric and political scare tactics are being used in a coordinated effort to paint Banja Luka as Bosnia’s bad guy, a one-sided view which is being disseminated by both Victoria Nuland and now Federica Mogherini. Remembering how anti-Serbian sentiment was quickly channeled into an assassination attempt against the visiting Prime Minister in Srebrenica, it’s logical to conclude that a similar, more professional stoking of ethnic hatred over a longer period of time could produce a more widespread and violent effect in all of Republika Srpska against all Serbs. Add in the ISIL factor and its two sympathizer bases right next to Republika Srpska (plus the Islamic terrorist attack in Zvornik), and it’s foreseeable that an anti-Serbian terrorist war might break out right around the time of the planned referendum. But who would want to break Bosnia apart? Most likely the same forces that wanted to tear Ukraine apart in order to drag neighboring Russia into the fray. These actors identify Republika Srprska as being ‘Serbia’s Donbass’, in that there’s deep ethnic, cultural, and historical bonds linking the two entities despite the international border between them. If they can tempt Serbia into an intended quagmire by using dead Serbs as ‘bait’ (as they failed to do with dead Russians in Donbass), then they could destabilize the whole country and stop it from becoming Balkan Stream’s continental hub. As with most wars then, a forthcoming one in Bosnia would be truly about energy geopolitics.